The glowing, silvery lines of Jeannine Cook's "Ligneous Connections." Metalpoint drawing is unforgiving. This technique involves inscribing specially prepared paper with a stylus tipped with a soft, usually precious metal like silver, platinum or gold, so that a trace of the metal is left on the surface. The fine point allows for the incision of astonishingly delicate, precise lines. Lines cannot be easily erased. Hesitation and revision are not options. Metalpoint is demanding, and relatively few artists working today have mastered its possibilities. The Morris Graves Museum's William Thonson Gallery hosts a new show this month featuring the metalpoint work of contemporary graphic artists. This traveling exhibition was curated by Jeannine Cook and Jeffrey Lewis, based respectively in Georgia and Alabama. Their show brings together 43 works by contemporary artists from the US, the UK and Australia, most of which feature exquisite surfaces and opulent-sounding materials lists. These intimate works are meant to be examined close-up. At a distance they are difficult to see. Up close, the metalpoint line literally shines. Softness and precision, two qualities often considered in mutual exclusion, coexist in balance here. The silverpoint drawings exude a plush bloom that recalls the characteristic lustre of a daguerreotype — the 19th century photographic process that also relies on silver's rapid oxidization to generate images. 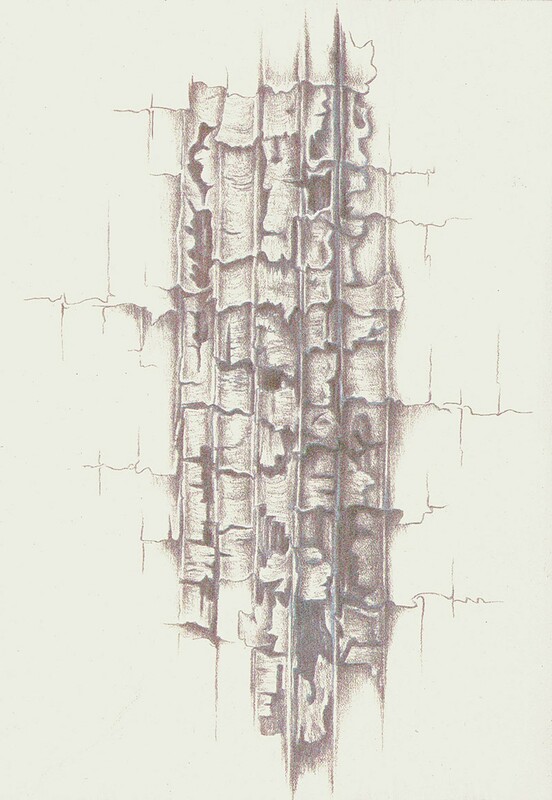 Jeannine Cook's silverpoint drawing "Ligneous Connections" exemplifies this quality. Softly glowing, needle-fine lines form intricately twisted fibers that invite the eye to follow along, elevating the subject beyond most botanic illustration. A.J. Smith's small silverpoint "Boy from Jonestown, MS" depicts an African-American child's pensive face in delicate, meltingly tender tones, demonstrating how beautifully the medium can lend itself to portraiture. As Canadian media guru Marshall McLuhan informed us in the 1960s, the medium is the message. That still holds true today — in fact, hasn't the truth of McLuhan's groovy insight become even clearer since the advent of fully interactive digital communications in the early aughts? A vessel shapes its contents, and a tweet is not an epic poem. This principle holds especially true when it comes to an exhibition organized, like this one, to explore the visual possibilities of a single class of mark-making substances. The history of the medium turns out to be a long and storied one. During the Renaissance, silver and gold became popular draftsman's materials across much of Europe, and Leonardo da Vinci, Albrecht Dürer and other giants used the technique to make drawings of stunning delicacy and detail. 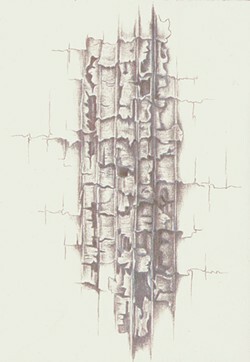 This golden age was over by the middle of the 16th century, when cheaper graphite supplanted metalpoint. The technique was essentially abandoned until the 19th century, when Victorian-era moderns looking to go back to the future revived it along with other pre-modern styles, like Quattrocento painting and Gothic architecture. Metalpoint's difficulty, expense, aristocratic provenance and inherent preciousness mean it's not poised for mass adoption anytime soon. And yet it seems to be having a moment. This traveling show coincides with a major survey of the medium currently garnering rave reviews at the British Museum, which features works by some of the same artists, like Susan Schwalb (check out the exhibition website or better yet, the catalog for an interesting point of comparison). No doubt the medium's appeal has a lot to do with the fact that it is so removed from the disposable easiness that characterizes so much of our culture. Artists who choose to draw with precious metals can seem a little like those currency reform advocates who want to return to the gold and silver standards. When people's experience of work and social interaction is increasingly virtual, precious metals provide a powerful metaphor for substance. At the same time, the tradition-sanctioned, but essentially arbitrary selection of these metals to embody value suggests a disturbing void at the root of our shared fascination with them. In short: Metalpoint's preciousness challenges contemporary sensibilities, and the artists in this exhibition respond to that challenge in different ways. The most memorable works here have been produced by those artists who think most carefully about the implications of their material selection. Some acknowledge the medium's past by depicting contemporary subjects in ways that recall past imagery. The young subject of Koo Schadler's tiny, sensitive silverpoint portrait "Profile of Lily with Pearl Buttons" is clearly contemporary, but the bust-length profile view evokes comparisons to Renaissance portraits. Gordon Hanley takes a different approach — he doubles down on ostentation, using precious metal to represent glittering, beaded, feathered objects. Hanley's painstakingly executed "Mysterioso" depicts a blonde in a Mardi Gras mask who shoots us a challenging glance, possibly warning us away from such literal responses to opulence. Other artists accentuate the medium's essence by minimizing their subjects. Schwalb's "Toccata #31," one of only a few abstract works in the exhibition, uses silver and bronze to trace a softly burnished array of horizontal stripes on heavy, cream paper. The result looks, literally, like money. How many angels could dance on the tip of Jeffrey Lewis's silverpoint stylus? Lewis's still life "Bowl and House" makes you think luxurious materials shine best when used to limn the barely-there. The drawing shows an empty bowl resting on a table inside a plastic Tupperware-style container. Deliberate, almost Franciscan poverty of content calls attention to the artist's wizardly technical command. At the same time, the subject is not superfluous. In fact, the disposable container featured here, with the small bowl held in pristine uselessness within it, conjures suggestive ideas about sterility, vacuums, values and voids. It looks like Lewis has studied his Jeff Koons. Here we have a drawing that is, in the highest tradition, a work of almost pure style: a work about next to nothing, characterized by what the novelist Edward St. Aubyn once termed "an inherent density of reflection on the medium in which it took place: the black backing that makes the mirror shine." Lustrous Lines: Contemporary Metalpoint Drawings shows in the Morris Graves Museum of Art's William Thonson Gallery through Jan. 3.